Get visibility into rising cloud costs, and under-utilized AWS resources. Cloud-computing costs reduced by 20% and a 50% reduction in staff time spent on cost optimization. Extraneous cloud-computing costs can add up quickly. 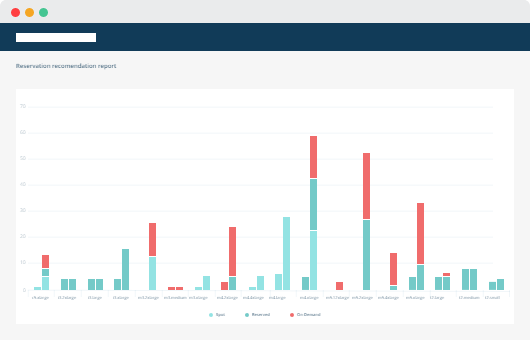 Controlling them requires cost monitoring and optimization tools that not only identify unnecessary or underused cloud resources, but also help IT teams respond to those inefficiencies in a timely fashion. That is the lesson that Gotransverse has learned while working to optimize its Amazon Web Services (AWS) cloud-computing costs. Gotransverse selected Metricly as its cost-optimization solution. Keep reading to learn how Metricly has helped the company achieve a 20 percent reduction in cloud-computing costs and a 50 percent reduction in staff time spent on cost optimization. Gotransverse, which provides integrated billing solutions for companies around the world, deploys approximately 1,800 virtual server instances on EC2 in the AWS cloud, and places a priority on avoiding unnecessary expenditures related to cloud resources. At first, the team struggled simply to identify unused or underutilized AWS resources, such as virtual servers that had more CPU resources allocated to them than necessary, or unattached EBS volumes. While AWS’s native Cost Explorer tool provided some basic cost data about overall expenditures, it fell far short of providing the detailed insight that Gotransverse needed to achieve true cost optimization. This shortcoming led the team to experiment with third-party cost-monitoring tools for the cloud. However, the team found most of them lacking as well, because they focused on identifying unnecessary expenditures, but did not offer the critical additional functionality of helping IT staff to resolve the issue, or right-size infrastructure. Most cost-optimization products “didn’t have the recommendation and predictive analysis features” that the Gotransverse team needed to streamline its cost-optimization operations, Swanholm said. Metricly was the exception. By providing not just cost monitoring but also deep analytics, Metricly has helped the Gotransverse team reduce the time that engineers spend on cloud cost optimization by about 50 percent, according to Swanholm. In one of its reports, Metricly measures hourly usage of reservation subscriptions applied to running EC2 instances. This helps formulate recommendations for reservation purchases — while avoiding the common mistake of not accounting for the concurrent usage of reservation subscription during peak hours, or low usage during off-peak times. This will help Gotransverse purchase reservations with confidence in the future. In addition, because Metricly makes Gotransverse staff aware of cost inefficiencies quickly, it allows them to act early. “I get daily reports [from Metricly], and I can see there’s a very large volume out there that’s costing us money,” said Andy Carsen, Director of Compliance at Gotransverse, describing an example of how Metricly helps engineers to address cost problems before they become significant. 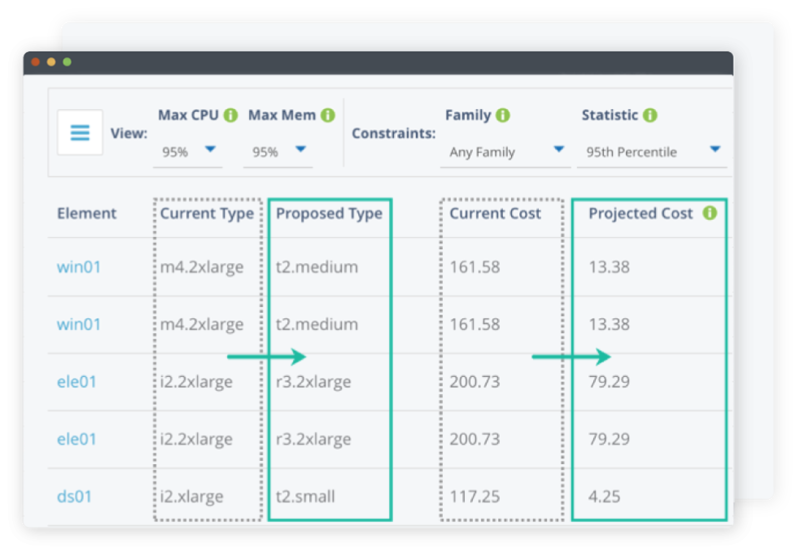 Another report in Metricly’s portfolio of tools is designed to analyze workload patterns over time in all dimensions of an EC2’s computing resources. It then correlates the workload with thousands of possible EC2 configurations to recommend a class, type and size that specifically matches the workload. This step is crucial to Gotransverse’s planning for future reservation commitments by ensuring that unused capacity is detected before a reservation contract is purchased. Since adopting Metricly, Gotransverse has achieved an overall savings of about 20 percent on its AWS cloud-computing bill. In addition to generating a significant financial benefit for the company, this cost savings has won accolades for the IT team from Gotransverse executives, Swanholm and Carsen noted. Swanholm added that his experience working with Metricly “not only helped the company, but was actually fun,” due in part to the help from Premier Services that his team received in implementing the product and working with reports. “Every time we’ve had an issue, there has been a really quick response from Metricly, and they have been easy to work with,” Swanholm said. Result: Monitoring that automatically learns the behaviour of metrics and newly added resources.